Not sure what to pack for your trip to Vietnam? A few months ago I was in your shoes. With two months in Southeast Asia, I had to make sure I had everything I needed for various climates. Plus, it all had to fit inside my hand-luggage. (I have major issues with my bags going missing. I’m weird, I know). Aaaand I signed up for a three-day trek in Sapa. Despite needing a bunch of different things from winter clothes to swimwear – I made it work. But there were also a couple of things I wish had made it into my suitcase. Here’s my complete Vietnam packing list (with a few extras)! 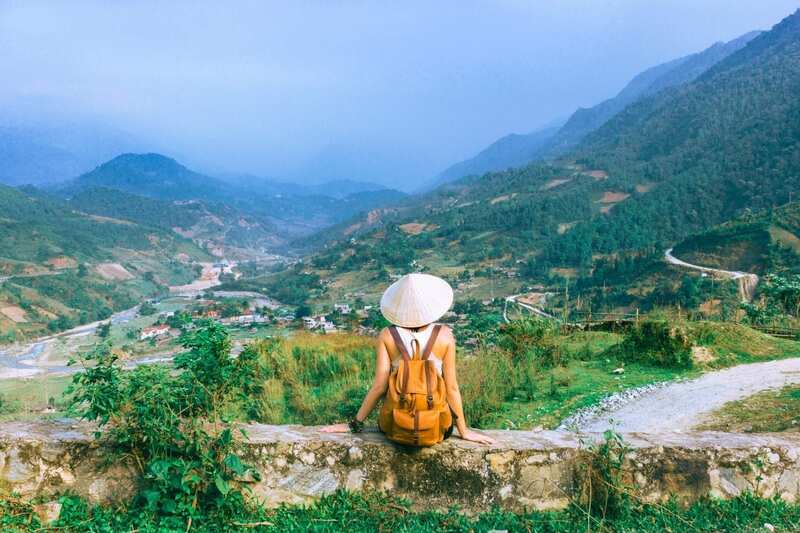 Is Vietnam Safe for Solo Travellers? Do South Africans Need a Visa for Vietnam? What Bags Do You Need to For a Trip to Vietnam? In my experience, Vietnam felt very safe as a solo female traveller. While you do need to avoid walking around with your phone out in big cities like Ho Chi Minh, I didn’t feel threatened at all. In fact, no men cat-called me and I didn’t feel uneasy walking around by myself at sunrise in Hoi An. That said, riding on the back of motorcycles was a hair-raising experience. If you’re planning a trip to Vietnam, make sure you get an international travel insurance policy. Accidents, flight delays, and stolen bags can happen in any country. 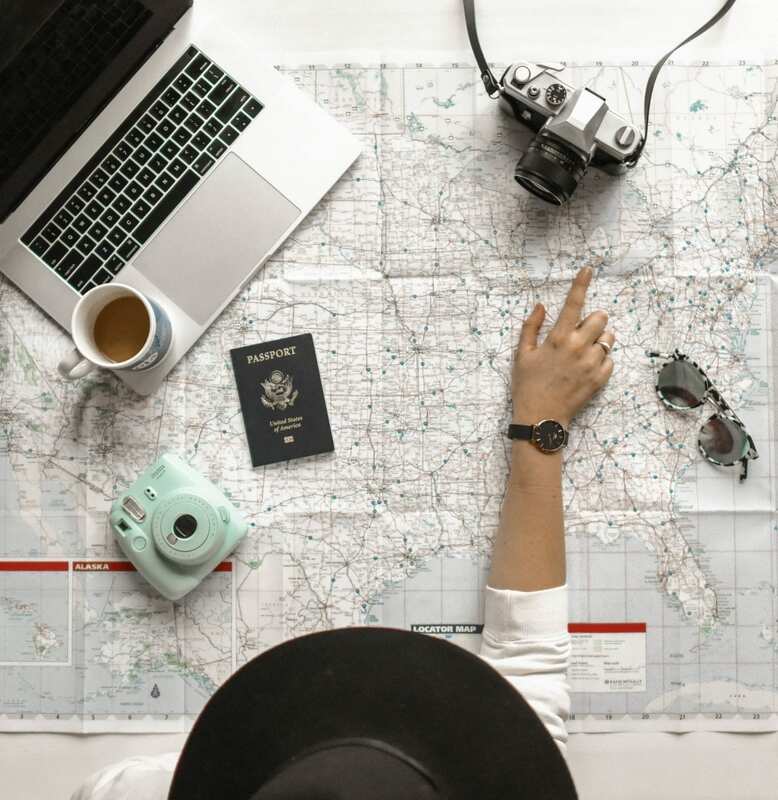 World Nomads Travel Insurance is perfect for frequent travellers, adventure seekers or people who want to take out a policy with a company that has an excellent track record for paying out claims without all the drama. When and where you travel to in Vietnam will impact what you need to pack. The country is massive, and it’s different regions each have their own unique weather conditions. Sapa may have snow settling on its peaks, while Ho Chi Mihn cooks in sweltering heat. Northern Vietnam: From November to April the temperatures hover around 20°C. If you’re going to Sapa, you’ll need to pack warm clothes as snowfall is common during this period. The summer months last from May to October and the wettest months are between July and September. Central Vietnam: The hottest months are from January to July and temperatures average around 30°C. You’ll need to watch out for typhoons during the rainy season (October to November). South Vietnam: Early May to November is monsoon season. July to August are the wettest months. The dry season is from November to April, and the region has an average year-round temperature of 30°C. But the good news is that you don’t have to go apply in person at the consulate. I’ve written a complete guide on how to get your Vietnam visa on arrival in three easy steps. Packing your bags, grabbing an Uber to the airport, Snapchatting how excited you are and then you’re DENIED boarding. Make sure it’s in your bag, no Vietnam packing list would be complete without. Before you leave, check to see it’s still valid and you have at least two blank pages. If you’re applying for a Vietnam visa on arrival, you’ll need the exact amount in US dollars. There are no ATMs inside the immigration hall, and you can’t exchange currencies. You’ll need two recent passport photos for your visa on arrival. Print out your boarding pass or save the mobile version to your phone. Or once you’ve checked in at the airport, put your boarding pass somewhere safe. Always check with your local travel clinic what vaccinations they recommend for your trip to Vietnam. It’s also a good idea to check if Vietnam has any specific health requirements for your nationality, e.g. yellow fever. Print the page out with all details a hospital or doctor would need and keep a copy on your phone. For your Vietam packing list, you want to make sure you have lightweight, loose-fitting clothing that you can layer. With a diverse climate, you’ll need to prepare for the humidity, rain and chilly evenings. And remember, you can always use laundry facilities at your hostel and hotel. It’s not expensive in Vietnam and will save a ton of packing space. 2 pairs of shorts (denim and/or board shorts). 3 tank tops or t-shirts (try stick to basic colours to make it easier to match your clothes). 2 long-sleeved tops (for the colder evenings in the north of Vietnam). 1 warm hoodie (I like to bring one for the cold aeroplane trips, but you’ll need warmer layers if you’re visiting Sapa). 2 pairs of leggings (for trekking or to keep you warm). 2 pairs of long trousers (the popular Thai hippie pants). 5 pairs of socks (1 pair for hiking). 2 bikinis or boarding shorts. 1 hat (or buy one of the traditional Vietnamese hats when you arrive). 1 hiking boots or trainers. 1 flip flops (you can also buy a cheap pair in Vietnam). 1 pair of comfortable sandals or closed shoes. 1 sarong (use it for the beach or to cover up at religious sites). 1 pyjamas (or double up a pair of shorts and a t-shirt). Want to cut down on how much you pack? I’ve written an in-depth guide on how to backpack like a Minimalist. 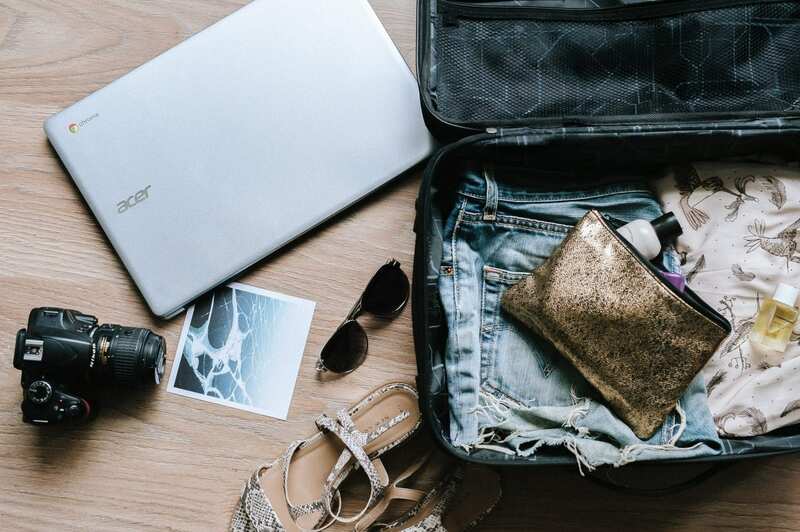 Be prepared for anything – without packing your entire house in your suitcase. Here are some essentials to consider packing for your trip to Vietnam. Ziplock bags (super useful if you’re planning to cook your own food). Plug converter for your electronics (Two-prong plugs are common in Vietnam). 1 BPA free water bottle. 2 padlocks for your suitcase and day bag. Packing cubes (these will help you keep your bag organised and free up space). A dry bag (it will keep all your valuables dry, and you won’t have to pay a hire fee each time you need one). 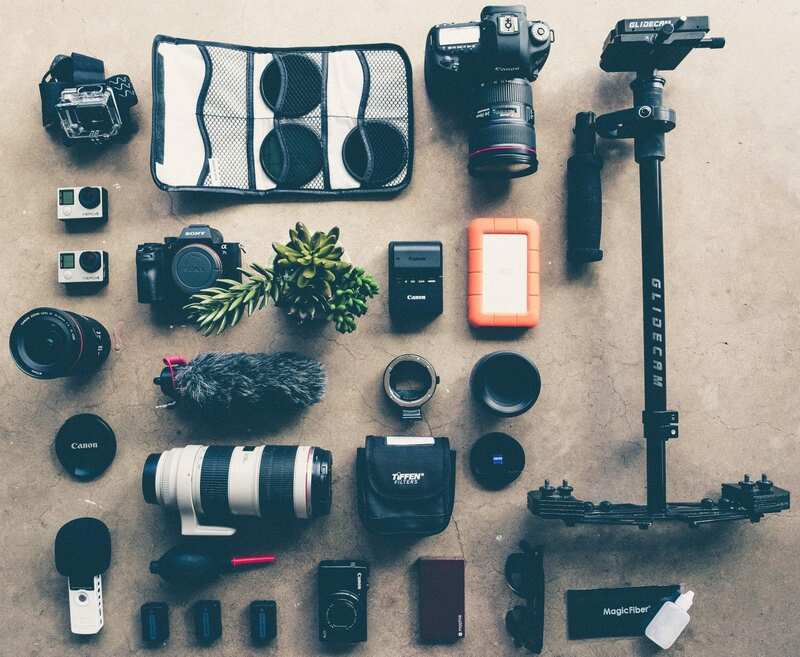 I am a digital nomad and blogger, so my Vietnam packing list for electronics tends to be more than the average person. Only bring what YOU will need for your trip. Cell phone + charger (check to see if your phone is unlocked so you can buy a local SIM). Headphone splitter (a must-have if you’re travelling with somebody). Camera + lenses (I use a Canon D700). Packing toiletries is always a challenge. Especially if you are a LUSH addict like me. 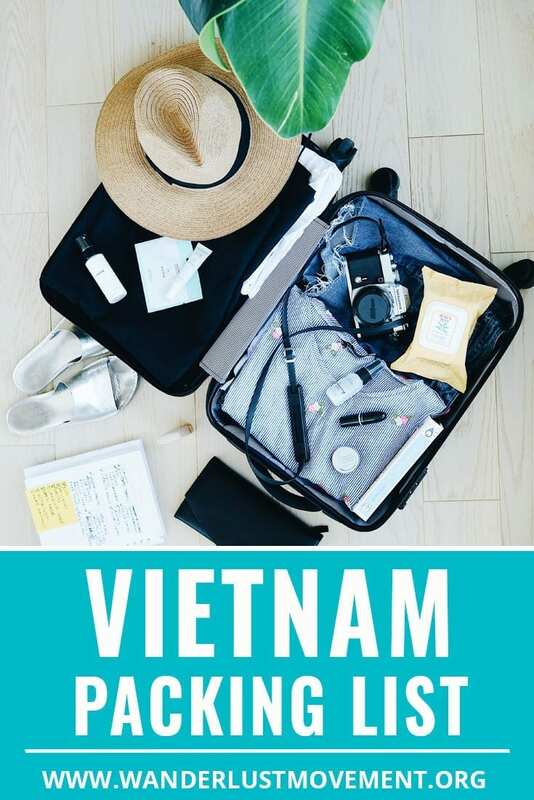 Keep your Vietnam packing list specific to your needs and things that you can’t purchase (or are too expensive) in Vietnam. Shampoo and conditioner bars (these are a great way to reduce your single-use plastics and help the environment). Mosquito repellent (you can buy this in Vietnam). Tampons or a moon cup. Tiger balm (will help with itchiness from insect bites). Makeup (bring as much or as little as you’ll need. I like to keep it to 5 items max). Soap (LUSH sells steel travel containers for soaps as well as shower gels). Toothbrush and toothpaste (LUSH has a plastic-free toothpaste option). Sunblock (bring your own from home as it’s expensive in Vietnam). Nail cutter and nail file. (especially useful if you’re a rock climber like me). Deodorant (here’s an environment-friendly option). Create your own basic health kit for Vietnam packing list. It should include all the prescription medication you need as well as preventives like headache or sinus tablets. Vitamin C tablets (Corenza C is my fav). Plus any other specific medications that you’ll need to take. 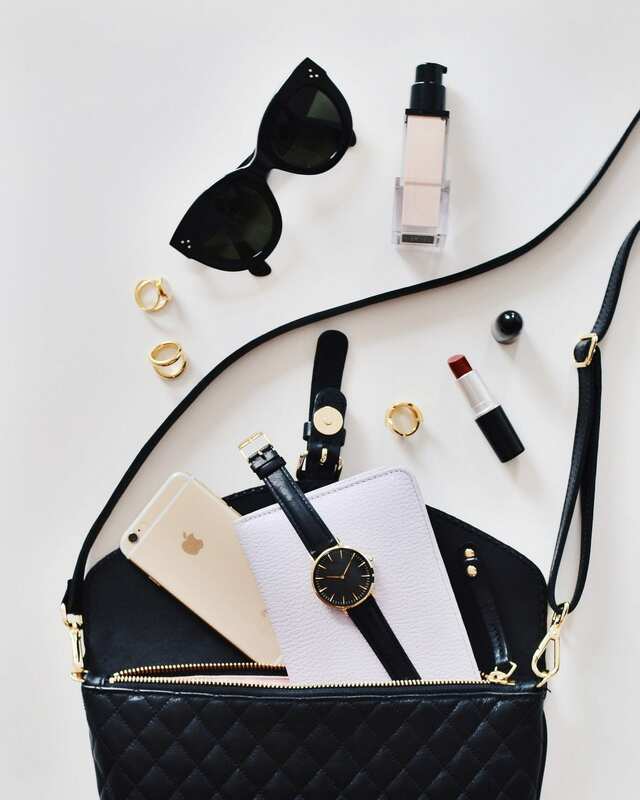 Depending on the type of traveller you are, you’ll need different bags to suit your needs. 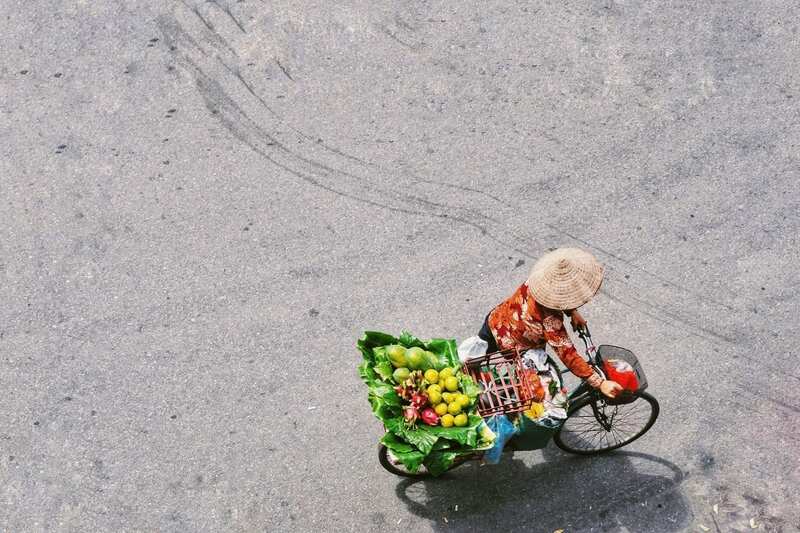 Planning on spending a few months backpacking Vietnam or Southeast Asia? Grab a sturdy backpack that will hold all your things. I prefer my K-way bag from Cape Union Mart as it has an inside pouch for my laptop. Plus it’s small enough to go in the overhead luggage bin on the plane. During this trip to Vietnam, I travelled the length of the country with only my hand luggage suitcase and a day bag. I’m currently using a suitcase from Escape Society. It comes with a built-in cell phone charger (say goodbye to stalking airports looking for a free plug), a discreet lock and is TSA approved. 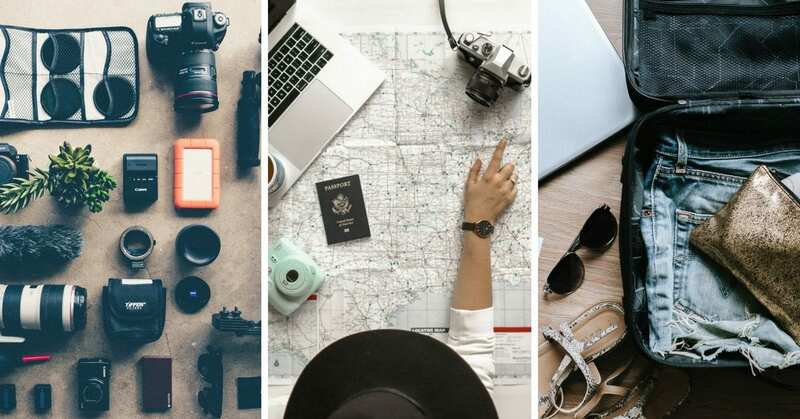 Escape Society is also a local South African brand and has a range of other travel accessories such as packing cubes and passport covers. Some of us have too many toiletries to travel with only hand-luggage. When I have to travel with 20kgs, I use a bag like this and secure the zips with padlocks. I also make sure to keep the luggage sticker somewhere safe in case my nightmare comes true, and my bag never comes out the conveyer belt. Every traveller needs a good day bag. I like to make sure I have one that can hold my laptop, camera equipment, tripod and water bottle. At the moment, I rarely leave home without my bobby bag from Freedom of Movement. It has an anti-theft pocket on the back. I use it to store all my important documents as well as my wallet. It also has space for my water bottle on the side and plenty of space on the inside. In fact, it’s the only bag I used when I trekked in Sapa for 3-days and everything fit. Freedom of Movement is another local South African brand and has a range of bag styles and colours to choose from. Practice your haggling skills. If you’re getting something made in Hoi An or you’re browsing the markets in Hanoi, don’t accept the first price. Don’t shop at malls. If you’re shopping on a budget, you won’t find good deals there. Shop where the locals do, and your money will go further. Knock off brands. In towns like Sapa, you can buy knockoffs of hiking brands like North Face. If you decide last minute to trek or you’ve left something at home, it’s a cheap alternative. Some shops will state that they are selling the real deal, but you’ll need to check the authenticity. Roll your clothes instead of folding them. It will help decrease wrinkles and save space in your bag. Pack your bras the right way. Layer them on top of each other (cup in cup). Then pack the cups with socks or underwear to help them keep their shape. Or you can use a bra travel bag. Wrap your shoes. You can use a shower cap, zip lock bag, shoe covers or a plastic bag to stop your shoes from dirtying anything in your suitcase. Travel with two cards. Keep one card in your wallet and the other one locked safely in your suitcase or hotel locker. In case your bag is stolen while you’re out exploring, you’ll still have access to cash. Wear your heaviest clothes and shoes on the plane. It will help you avoid paying extra for overweight luggage and save space. Use a pill case compartment for jewellery. It will help you keep your earrings, rings and other smaller items organised. Pack the heaviest items near the wheels of your bag. It’s also a good idea to angle things to stay upright when it’s rolling. Invest in a luggage scale. All you need to do is slip the hook on your bag, lift it up, and you’ll see the exact weight. The scales are lightweight, small and will help you avoid any expensive surprises at the airport check-in counters. Plan your outfits. It will help you pack less and only bring items you really need. Try to stick with a colour scheme to make it easier to match items and avoid taking something you “might” wear. I hope you’ve found my Vietnam packing list useful! Grab the downloadable PDF checklist below!